This week Majestic launches our mobile site! As smartphone users grow so must websites. 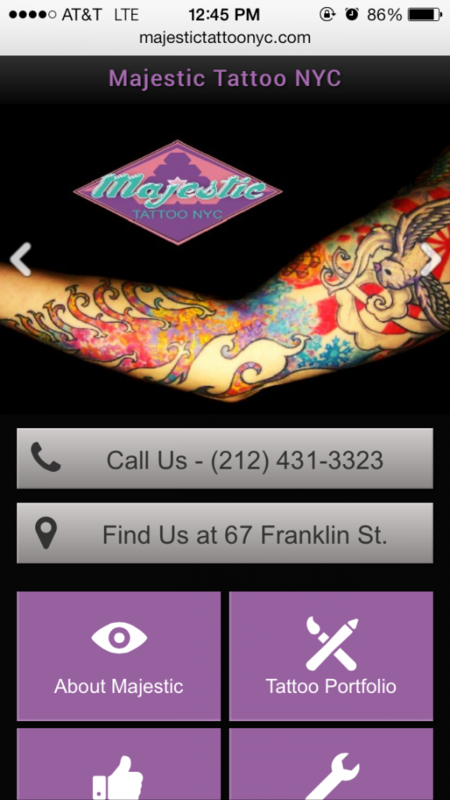 With a new, streamlined interface and easily accessible links, visitors can easily navigate and experience Majestic Tattoo on-the-go. 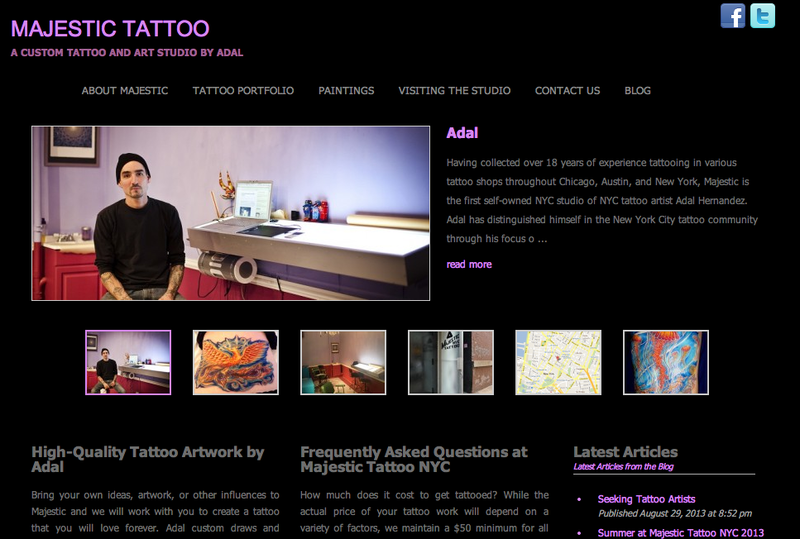 This entry was posted in About the Shop, News, Thoughts.